Although they may differ on many issues, the one thing 430 rabbis and Jewish leaders of every denomination do agree on is that they welcome Pope Francis to Israel and they want him to continue the work of Nostra Aetate, the unprecedented document that advanced the state of Catholic Jewish relations. It took four entire pages to print all the signatures of the Jewish leaders greeting Pope Francis in a letter sponsored by the New Jersey based Center for Interreligious Understanding (CIU). The welcoming message appeared in a special section in Ha’aretz that was presented to the pope while he was in Israel. To add your welcome to Pope Francis, click here. Nostra Aetate was the revolutionary document signed by Pope Paul VI in 1965, in which the Catholic Church changed its appreciation of other religions and in particular, Judaism. It condemned anti-Semitism and said that the Jews were not collectively responsible for the death of Jesus. 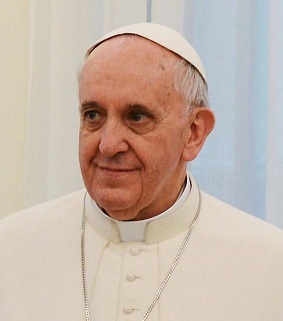 In addition, it affirmed that Jesus was a Jew and that the Jews are still the people of God, quoting the Apostle Paul, “the calls and promises of God are irrevocable.” These Jewish leaders want Pope Francis to continue in the work of Nostra Aetate, as have other Popes through various subsequent documents and outreach to the Jewish community. Promoting outreach to many religions has been Rabbi Bemporad’s calling nearly his entire life. Having fled Mussolini’s fascist Italy as a small child, he has dedicated his life to interreligious work among Jews, Catholics, Muslims, and Christians worldwide. In addition to heading the CIU, Rabbi Bempoard is the Director of the John Paul II Center and Professor of Interreligious Studies, both at the Pontifical University of St. Thomas Aquinas (Angelicum), in Rome. The welcome message was made possible by the generous support of the New Jersey-based Russell Berrie Foundation and its President, Angelica Berrie. In this spirit, we – Rabbis and Jewish leaders — warmly welcome you and your mission of peace to Israel. With one voice, we are united in our commitment to interreligious dialogue, to opening more paths to increased understanding. With you we are here to build bridges so that we can traverse these bridges of faith together in a journey of hope for justice, equality and peace, and to continually recognize and strengthen the important relationship between Catholics and Jews worldwide. To view the print version of the welcome message with signatures, click here.